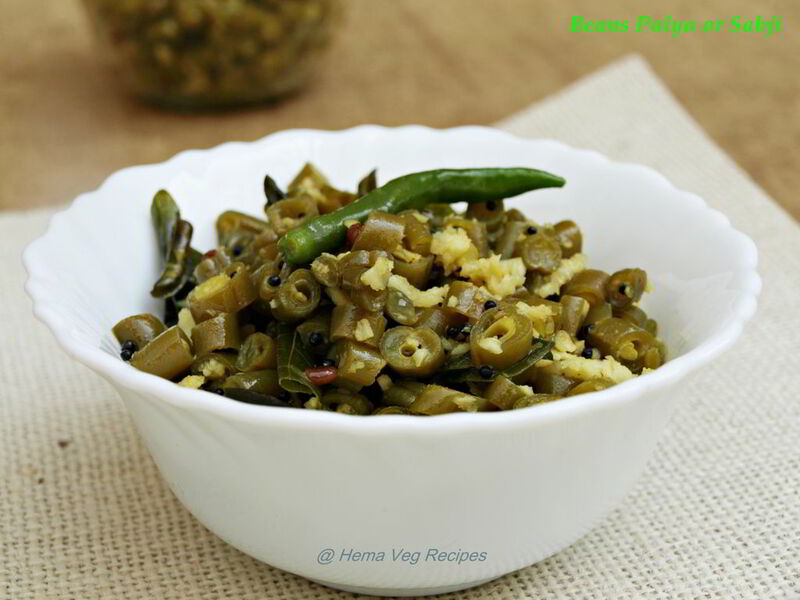 My daily menu is Sambar and one Palya which can accompany Phulka. 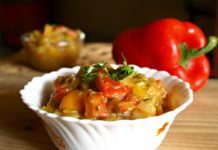 I love to prepare variety of simple Sabji whether it is dry or gravy. As I observed having more vegetables and fruits in the daily menu will help the skin to glow as well prevent skin dryness during winter. Having more vegetables than Rice and Chapati will help you to keep fit and also it controls hunger. Now my daughter says that eating good food is important for good health. 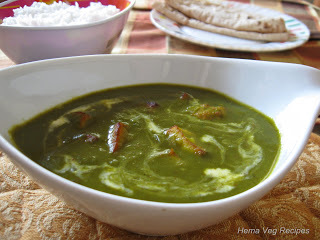 So she eats lots of vegetables with Chapati and curd rice. 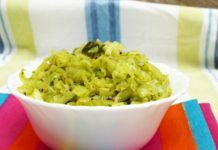 Earlier she used to prefer fried items with curd rice, but now her liking for vegetable sabjis has made me feel very happy. She has become more conscious at the younger age itself. Pink Colour of the beet root attracts her to eat more of it. 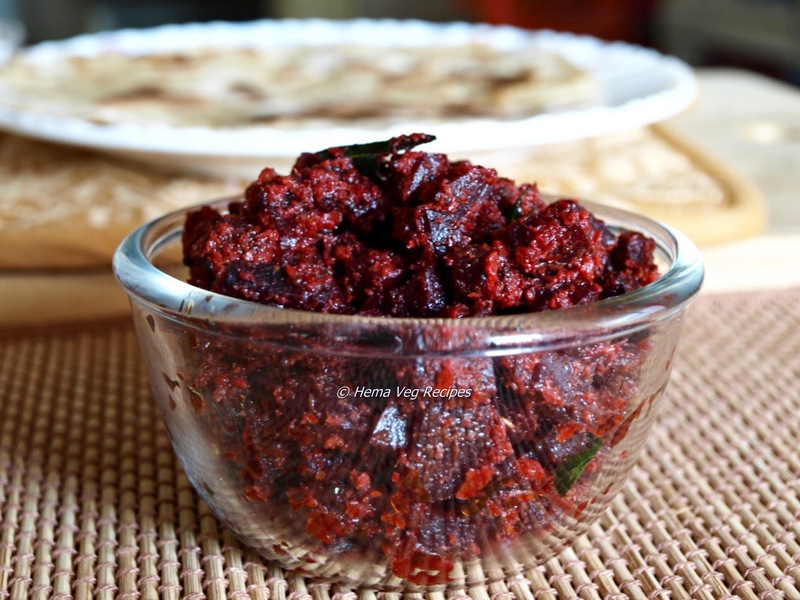 We can prepare Beetroot Palya or Sabji in various methods by adding Red Chilli Powder, Sambar Powder or even Green Chillies. 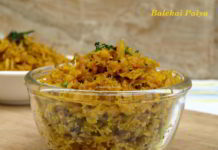 Here I am showing you a very simple method which can be served with Phulka, Chapati or with curd rice. 1. Peel the outer covering of Beetroot and chop it finely. Add little water with Turmeric Powder to the Beetroot and pressure cook it for 3 or 4 whistles. Leave it to ease the pressure. 2. 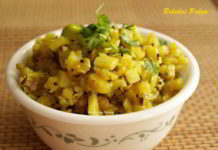 Heat Oil in a pan, add Mustard Seeds, once it splutters add the Urad Dal. When it turns to golden colour add Curry Leaves. 3. Then add the cooked Beetroot and mix well. 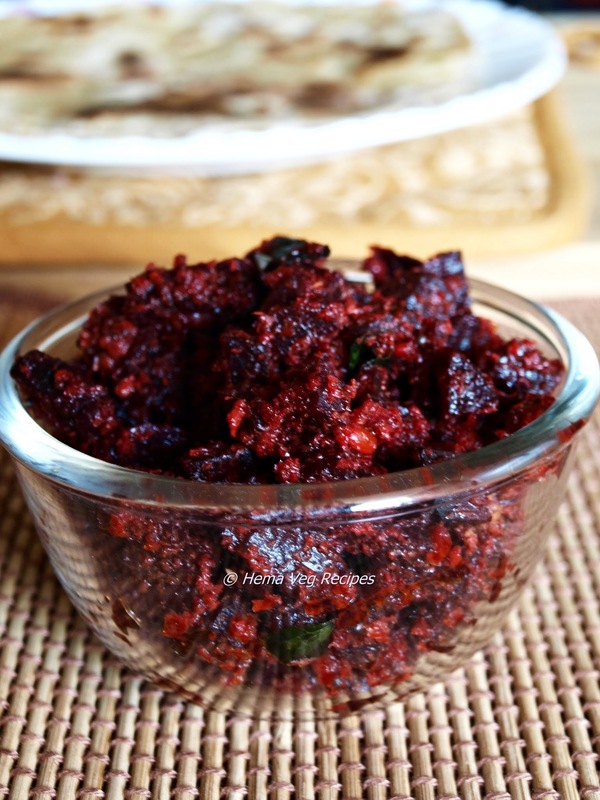 Once the water in the beetroot is slightly absorbed; add Salt, Red Chilli Powder, Jaggery and mix well. 4. Finally add the grated Coconut and give a quick stir. See to it that the water is completely absorbed before removing from flame. 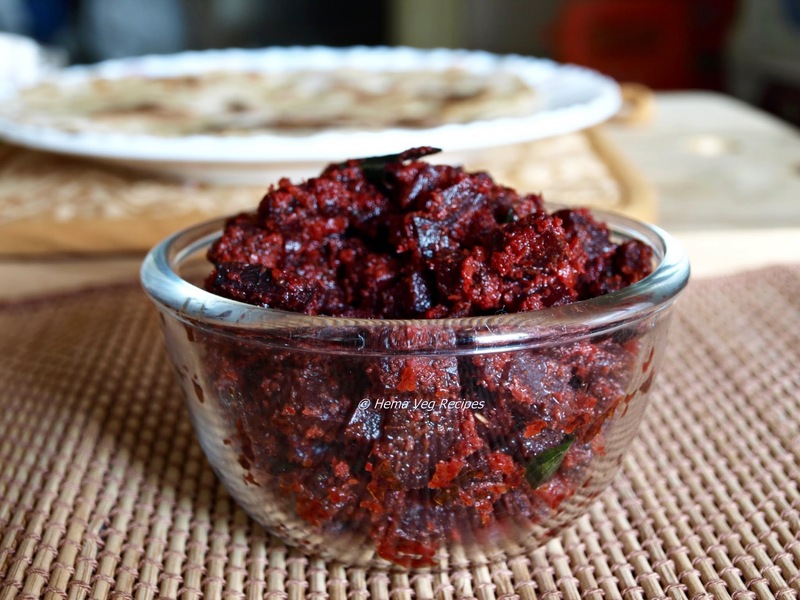 Serve the Beetroot Palya or Sabji with Chapati, Roti, Phulka or with curd rice. You can even cook the Beetroot after seasoning by adding water to it. But I found cooking beetroot in pressure cooker is easier method. 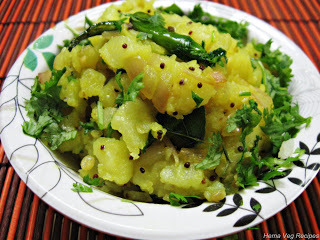 You can add Sambar Powder or Rasam Powder instead of Red Chilli Powder. 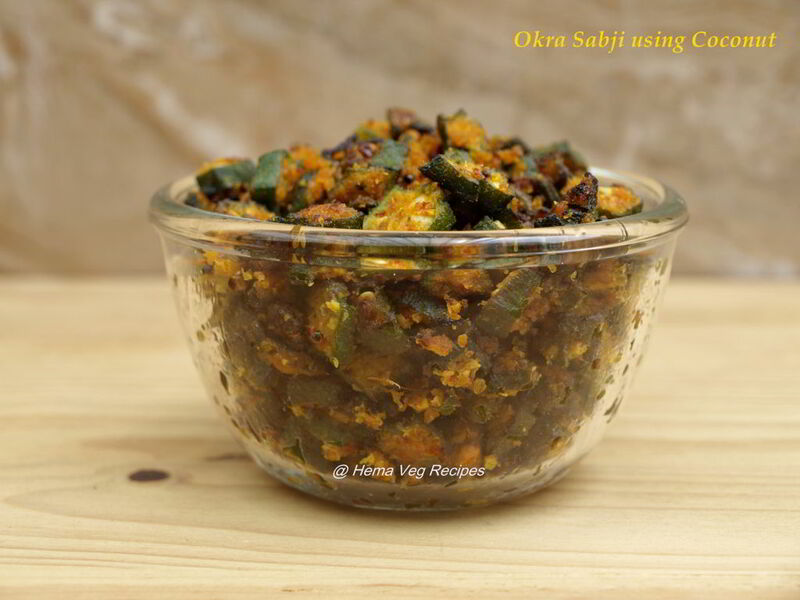 I like to have it without more spices in the Sabji, so I prefer Red Chiili Powder. Jaggery is optional here. Sometimes the Beetroot will not be sweet and doesn’t give good taste. So I prefer adding it to Beetroot Palya.